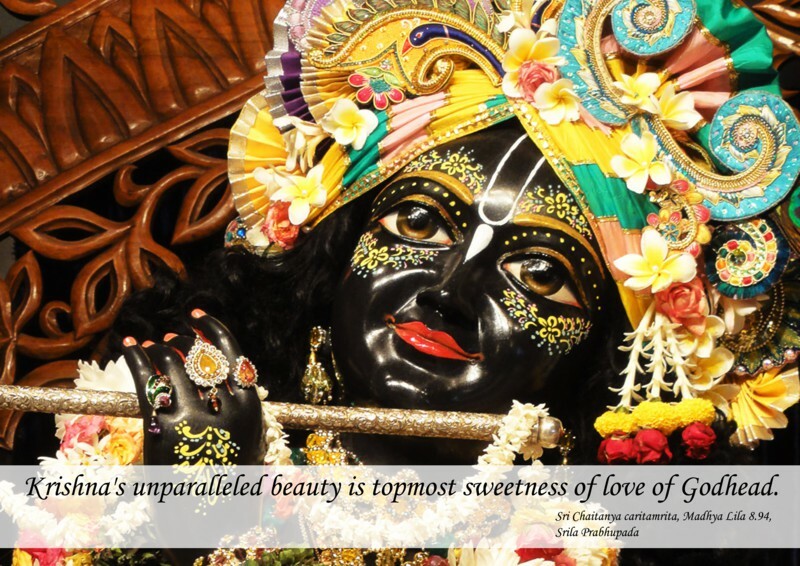 Krishna’s unparalleled beauty is the topmost sweetness of love of Godhead. 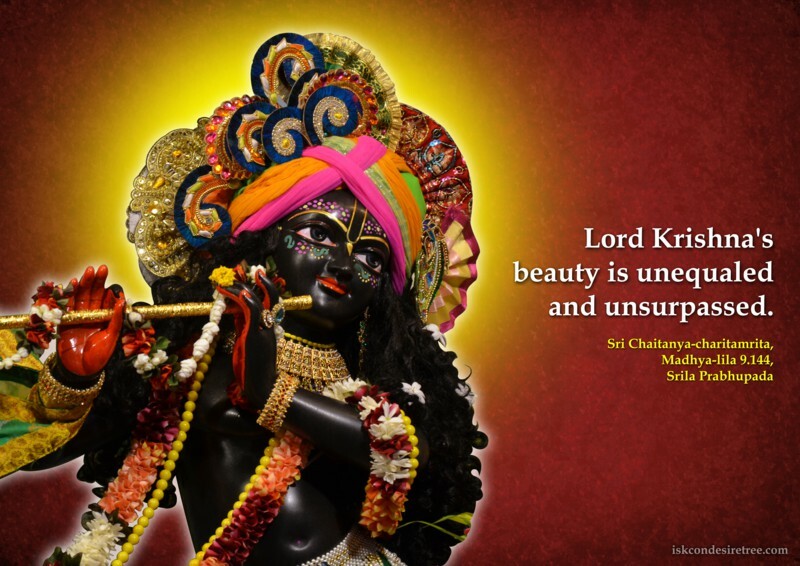 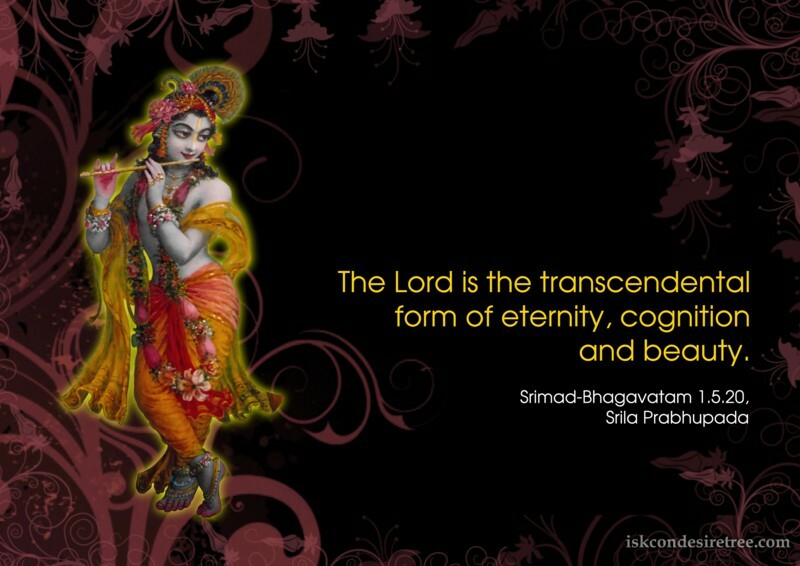 Lord Krishna's beauty is unequaled and unsurpassed. 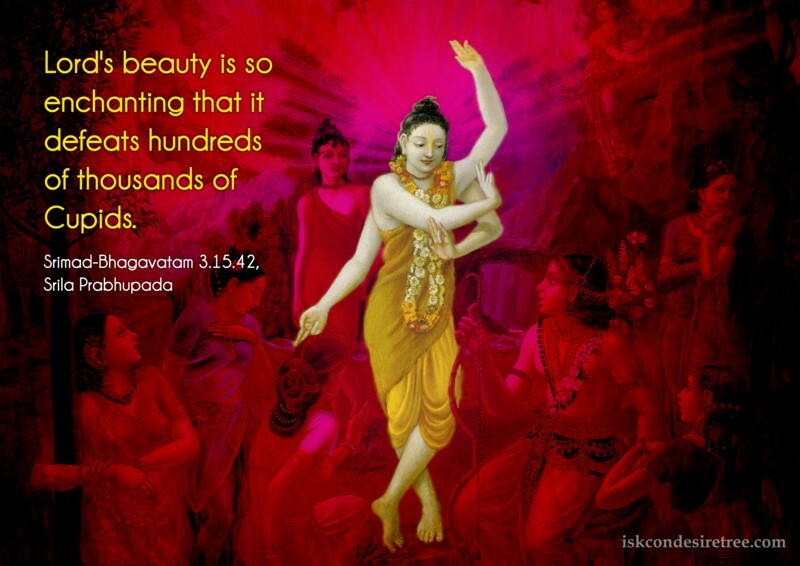 Lord’s beauty is so enchanting that it defeats hundreds of thousands of Cupids. 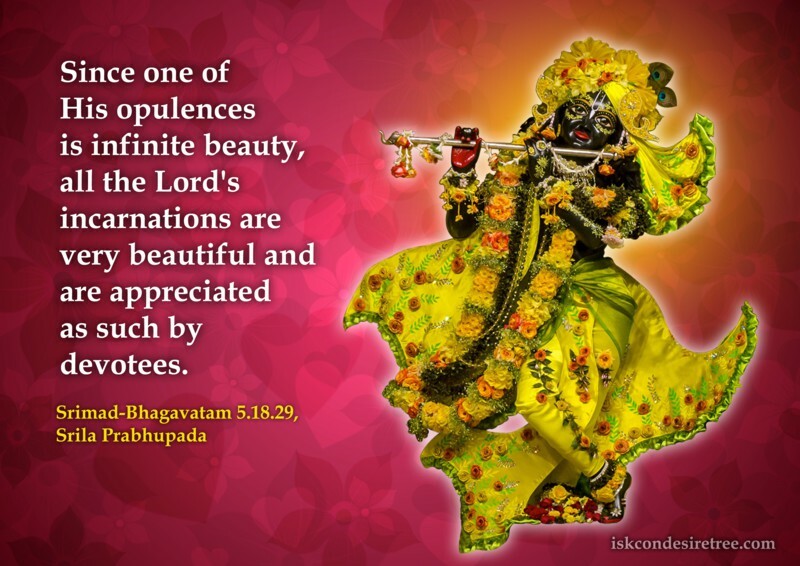 Since one of His opulences is infinite beauty, all the Lord’s incarnations are very beautiful and are appreciated as such by devotees. 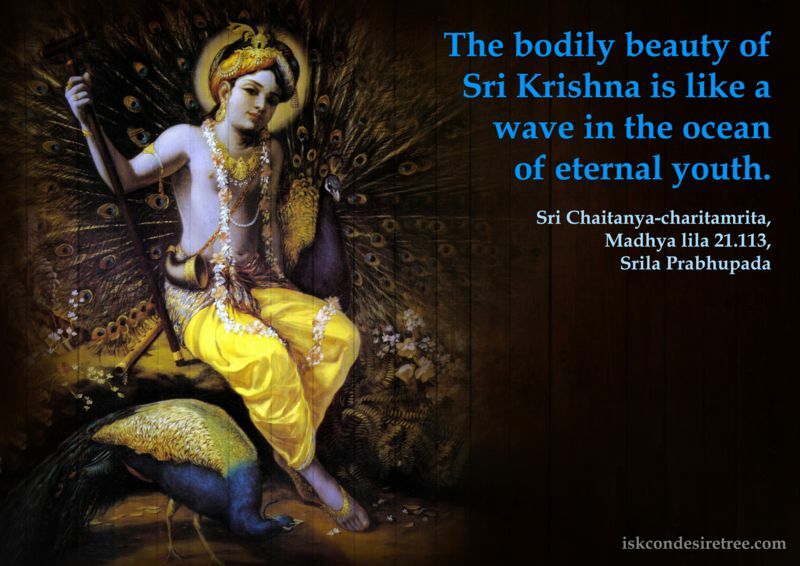 The bodily beauty of Sri Krishna is like a wave in the ocean of eternal youth.